Congress established the Small Business Innovation Research (SBIR) Program in 1982 to provide opportunities for small businesses to participate in Federal government-sponsored research and development (R&D). 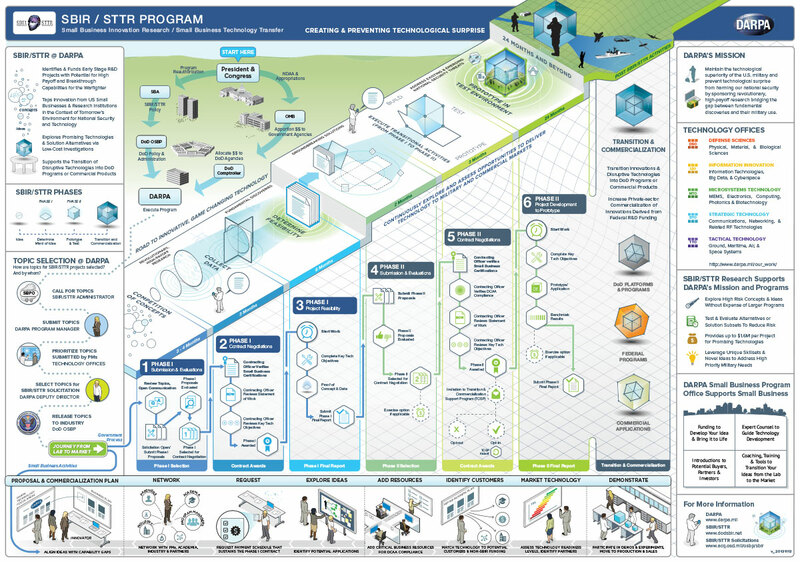 The Defense Advanced Research Projects Agency (DARPA) administers the grants process in order to continuously explore and access opportunities to deliver technology to military and commercial markets. The ability to administer the SBIR Program involved many stakeholders across the organization, and, over time, the process became increasingly burdensome for small businesses to navigate. 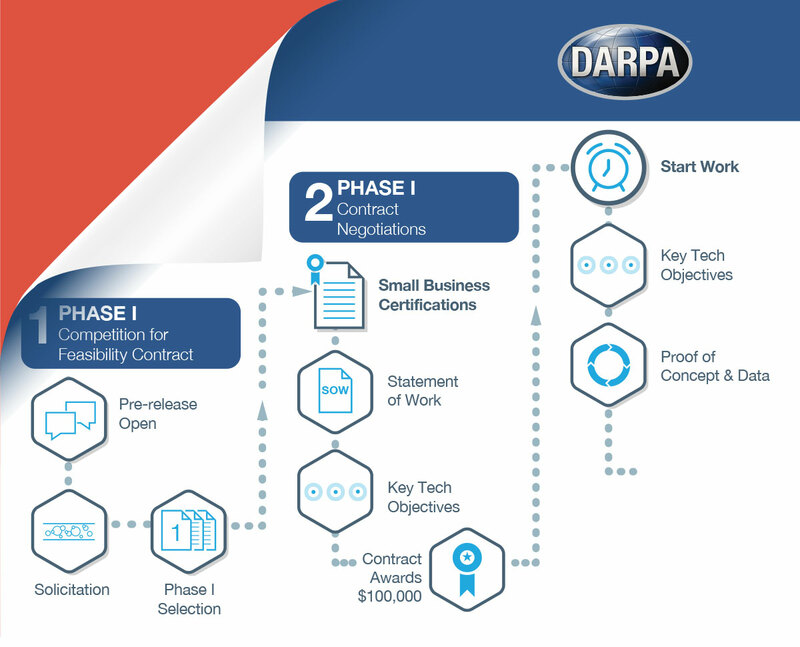 DARPA had a goal to make the R&D grants process more accessible in order to drive increased business participation. Working with stakeholders across the Department of Defense (DoD), our team consumed thousands of pages of documentation and performed an information reduction process resulting in a single Maga Map™. 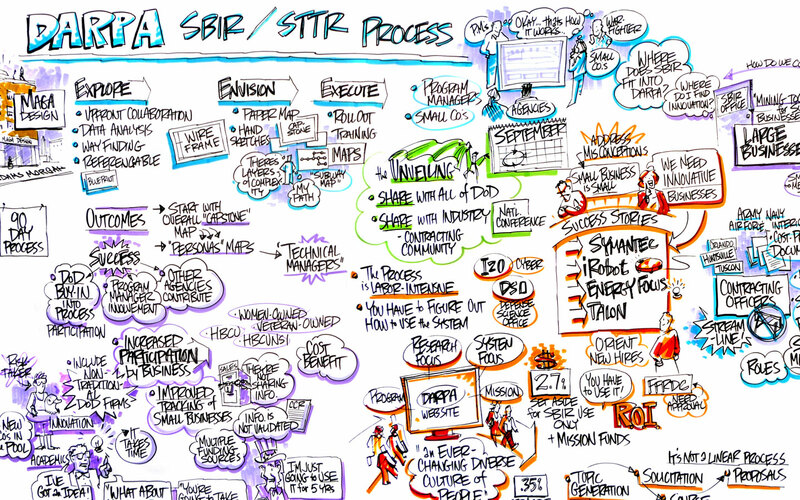 A unified, streamlined view of the multi-phase SBIR process became a critical tool for contracting officers, program managers and business representatives to work together to develop breakthrough capabilities for the Warfighter. The visual presentation system was used across DARPA industry events and as a communications tool within the agency.